Catherine Pierce’s most recent book of poems is The Tornado Is the World (Saturnalia, 2016). She is also the author of The Girls of Peculiar (Saturnalia, 2012), winner of the Mississippi Institute of Arts and Letters Poetry Prize, and Famous Last Words (Saturnalia, 2008), winner of the Saturnalia Books Poetry Prize. Her poems have appeared in The Best American Poetry (2015, 2011), Boston Review, Ploughshares, The Southern Review, and elsewhere. 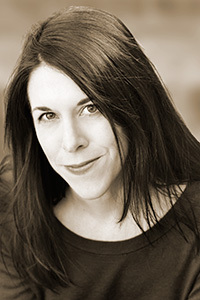 She co-directs the creative writing program at Mississippi State University.